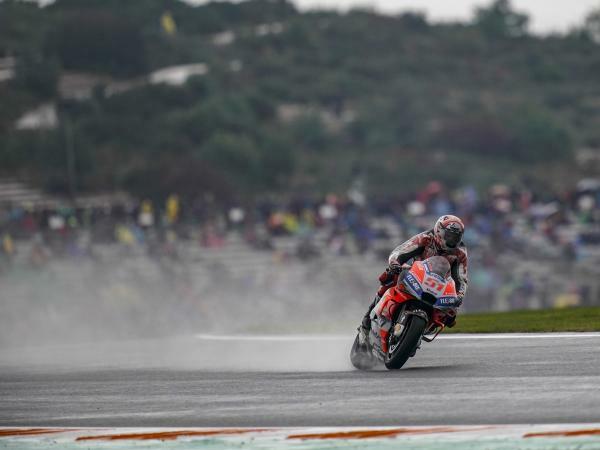 Andrea Dovizioso powered his way to a superb win today in the Valencia Grand Prix, a race held in two parts because of the heavy rain that forced Race Direction to interrupt proceedings on lap 14. 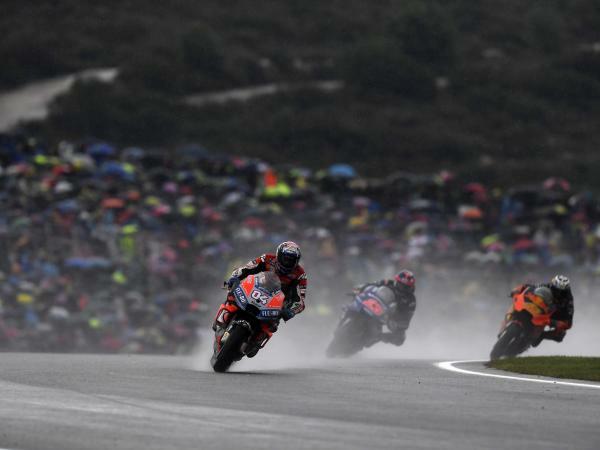 At that point the Italian rider had just passed Alex Rins to take the lead, but the grid positions for the restart were based on the previous lap's classification, so Andrea restarted from the front row between Rins and Rossi for the crucial 14-lapper. As the lights changed, Dovizioso got the holeshot into the first turn and then held off the attacks from his two rivals. 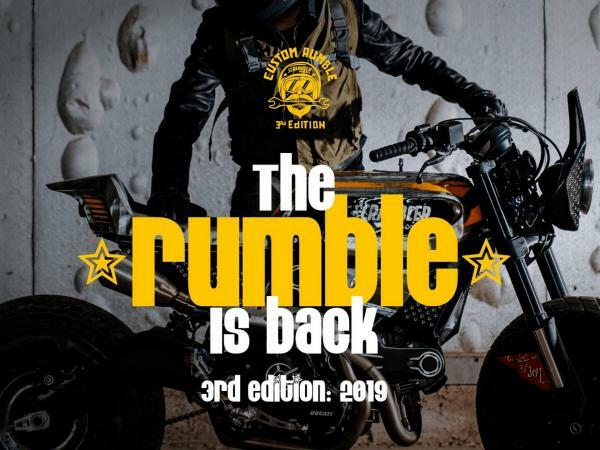 After Rossi crashed out, Andrea administered his lead over the Spanish rider until the flag to take his fourth win of the year (Qatar, Czech Republic, San Marino and Valencia). 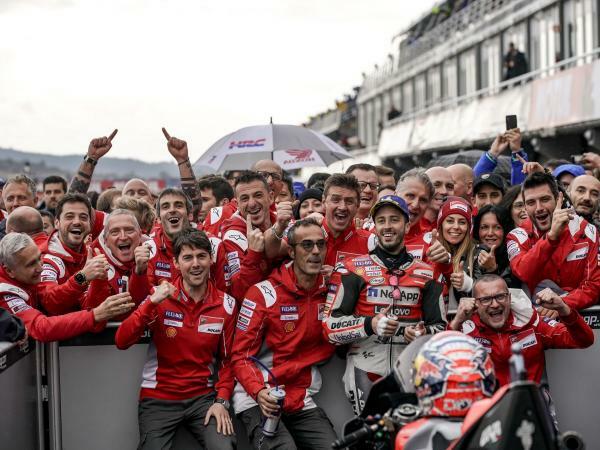 Jorge Lorenzo finished in twelfth place in his last race with the Ducati Team. 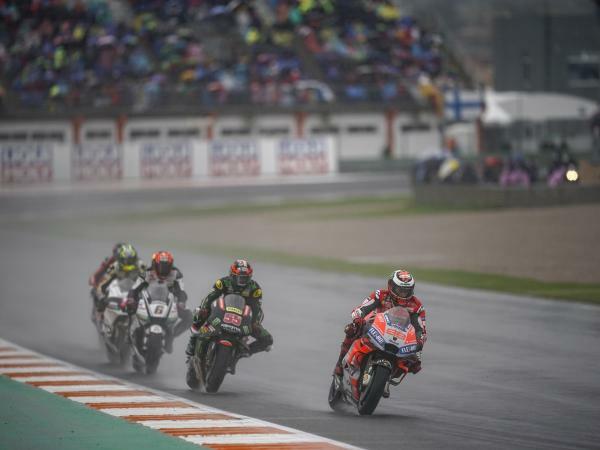 The Spanish rider, who was still not entirely fit following the injury to his left wrist, was never able to find a good feeling with his bike because of the tricky conditions of the wet track surface. An excellent fourth place went to Michele Pirro, who finished just off the podium. 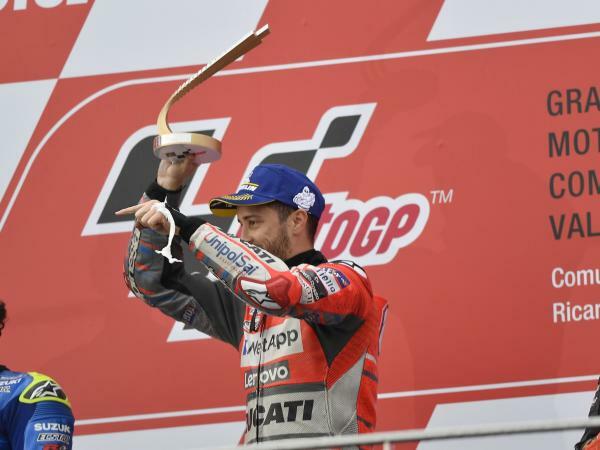 The Italian scored the best result in his MotoGP career, ably making use of a second chance to restart for the second race after crashing out and then getting back on track in the first. Thanks to today’s results the Ducati Team also finished second overall in the special classification reserved for teams. 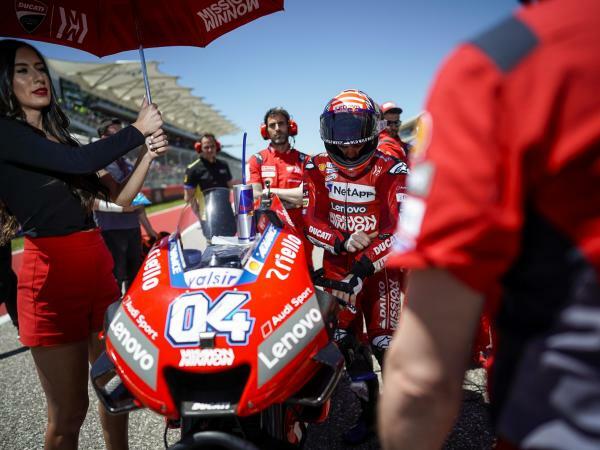 The 2019 season gets underway this Tuesday and Wednesday, at the Ricardo Tormo circuit, when Danilo Petrucci will team up with Andrea Dovizioso for the first time in the colours of the Ducati Team. "Today’s was truly a spectacular victory! I have finally managed to win at Valencia, which for me and for Ducati has always been rather a tough track. The first race was very difficult, because Rins started off really strong. I stayed clam however and reeled him in, but Rossi was also recovering and he was very quick so I had to manage the situation while the rain was increasing lap after lap. In the second race we managed to make all the difference because we were able to use a new tyre we hadn’t used in the morning warm-up as well as making a small change to the set-up. I’m really pleased with the way we worked together with the team and to have been able to give them this win, which really helps cheer everyone up. It was a great way to finish the season!" 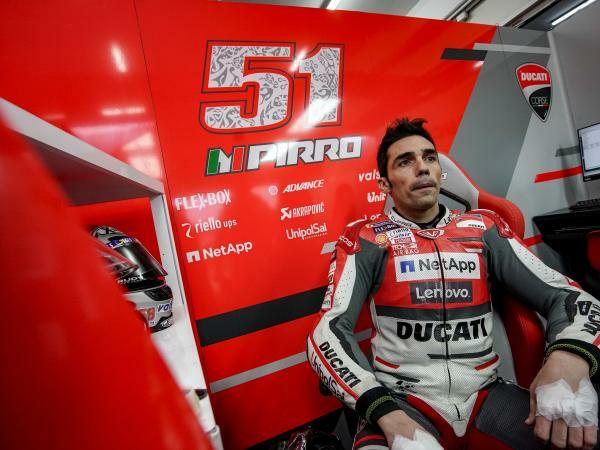 "So we’ve arrived at the end of my period in Ducati and I wasn’t able to do the race that I wanted. The conditions were really complicated and it was easy to make a mistake and crash so I preferred not to take too many risks, given the state of my wrist. I did the best I could on this track but I was unable to be competitive. I feel bad for the team because I wanted to say goodbye to them with a good result, but in any case I want to remember all the positive things in the last two years. 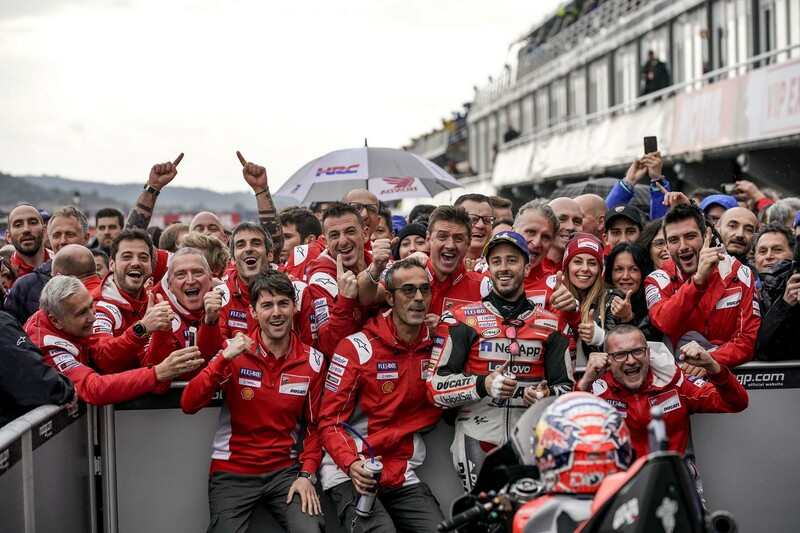 Even though we know we weren’t able to obtain what we wanted to achieve when I joined Ducati, this year’s wins were really special and I will always have a special place for them in my heart. The rapport with the team has been magnificent: they have always helped me in difficult moments and we have established a friendship that goes beyond mere racing. 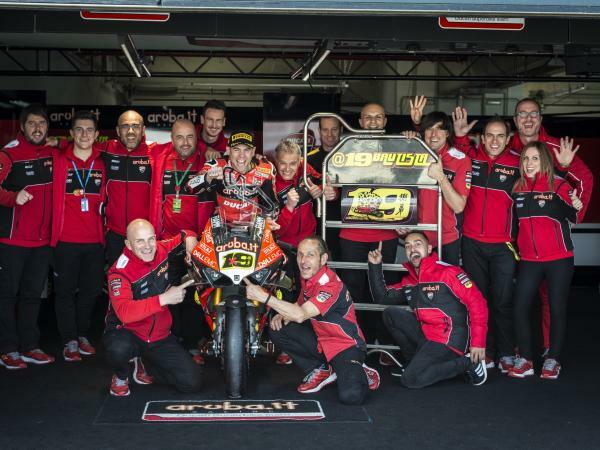 The professional level of all the engineers and technicians is very high and together we were able to make the Desmosedici GP one of the most competitive bikes on the grid, something that makes me very proud. I also want to thank all the Ducatisti for the support they have given me since the very first day I came to the factory at Borgo Panigale. 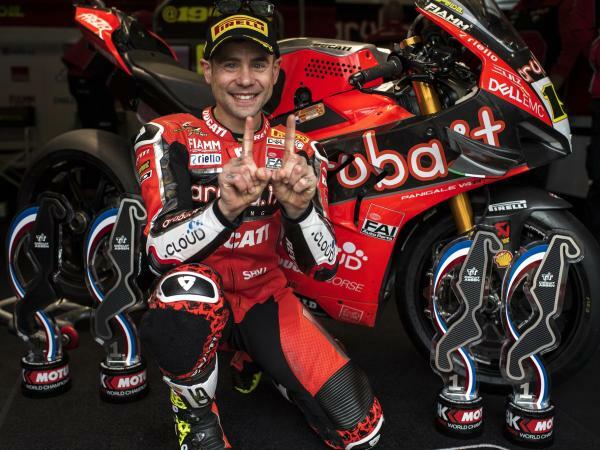 I will never forget these two years together and a part of my heart will always be a Ducatista." "It was a difficult race because I crashed in the first part, damaging the bike a bit, but I was able to get back on and then the race was interrupted. After the restart, I managed to run at a good pace and I’m disappointed only because I missed out on a podium by just over a second. 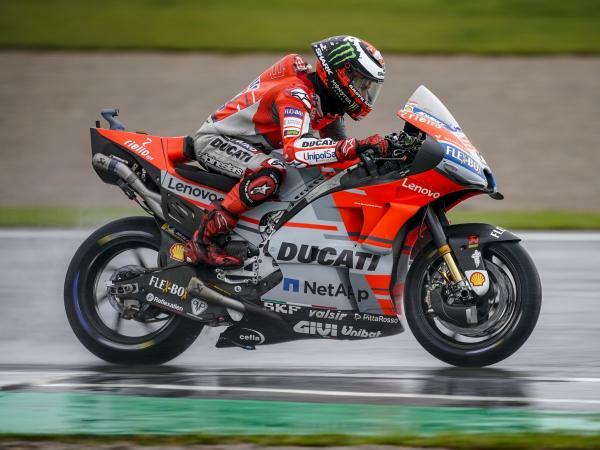 I’m very pleased however because after my crash at Mugello I once again did a good MotoGP race and Ducati won again at Valencia after many years, which is important for all of us."